Researchers in the VUSec Lab at Vrije Universiteit Amsterdam have discovered a vulnerability that targets a device's dynamic random access memory (DRAM) using an attack called Rowhammer. The Rowhammer attack involves executing a malicious application that repeatedly accesses the same "row" of transistors on a memory chip in a tiny fraction of a second in a process called "Hammering." The researchers successfully rooted Android handsets including Google's Nexus 4 and Nexus 5; LG's G4; Samsung Galaxy S4 and Galaxy S5, Motorola's Moto G models from 2013 and 2014; and OnePlus One. Knowing this, the researchers then had to figure out how to use the bit flipping to achieve root access on the victim's device, giving them full control of the target phone and the ability to do anything from accessing data to taking photos. "On a high level, our technique works by exhausting available memory chunks of different sizes to drive the physical memory allocator into a state in which it has to start serving memory from regions that we can reliably predict," the paper reads. "We then force the allocator to place the target security-sensitive data, i.e., a page table, at a position in physical memory which is vulnerable to bit flips and which we can hammer from adjacent parts of memory under our control." 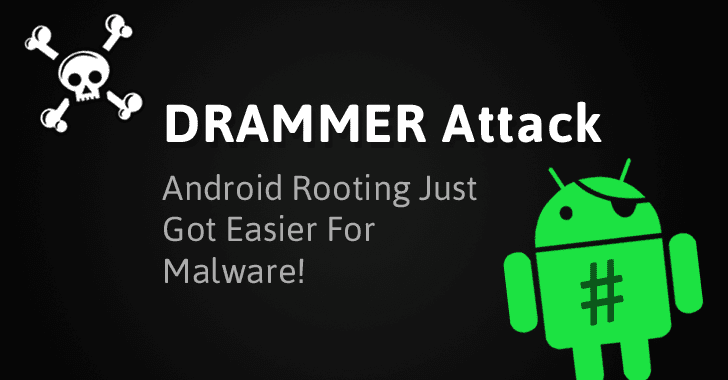 Once you download this malicious app, the DRAMMER exploit takes over your phone within minutes – or even seconds – and runs without your interaction. The attack continues to run even if you interact with the app or put your phone in "sleep" mode. The group of researchers privately disclosed its findings to Google in July, and the company designated the flaw as "critical," awarding the researchers $4,000 under its bug bounty program. 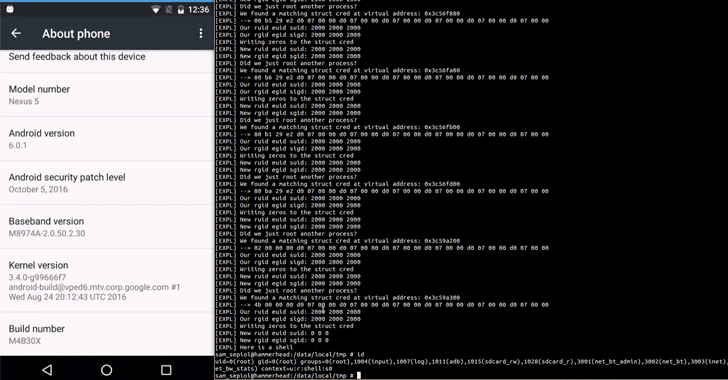 The researcher's exploit can target the majority of the world's Android phones.